‘There’s Germany, and then there’s Berlin…’ is how Berliners identify their beloved capital city. With its subversive and nonconformist vibe, Berlin’s grittiness and its checkered history make it the diverse cultural and creative metropolis that it is today. 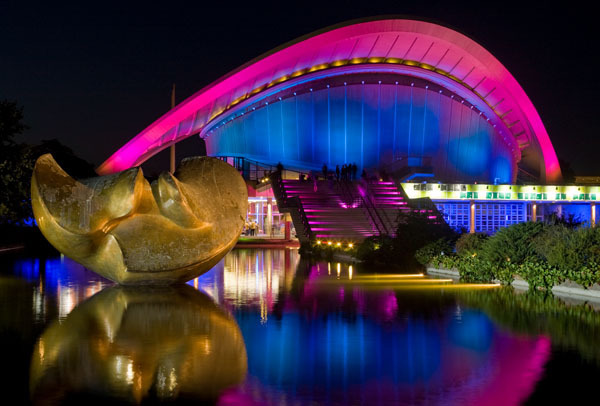 Considered to be the cultural capital of Germany, with the reunification of East and West Berlin now possesses double the amount of cultural landmarks throughout the city and also has a thriving contemporary arts scene. 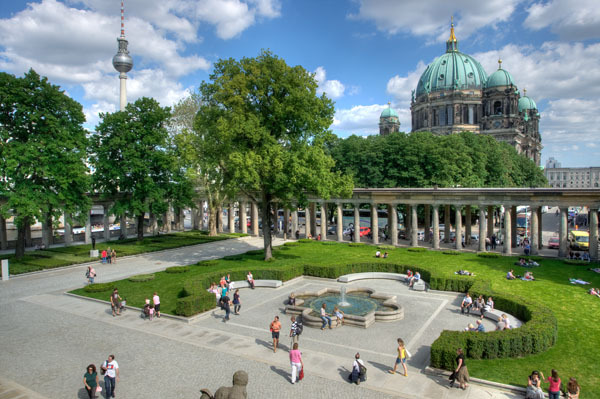 Besides its vast cultural landscape, your experience in Berlin can go as far as your imagination can reach. With an unrivaled nightlife that has no apparent end time and clubs that would make Fifty Shades of Gray look G Rated, prices for going out are generally much lower than other European capital cities. This too makes their diverse and noteworthy gastronomic scene even more attractive and accessible. One of the best ways to experience Berlin is through its neighborhoods. At the heart of the counterculture scene is Kreuzberg- an area that was once zoned as low income housing but has since been redeveloped into an up and coming neighborhood that is now dotted with chic independent boutiques, restaurants, vintage shops, bars and nightlife. Steeped in history, you can learn more about the hidden gems of this colorful neighborhood through a Secret Tours Berlin walking tours that explains the area’s history and favorite spots revered by locals. 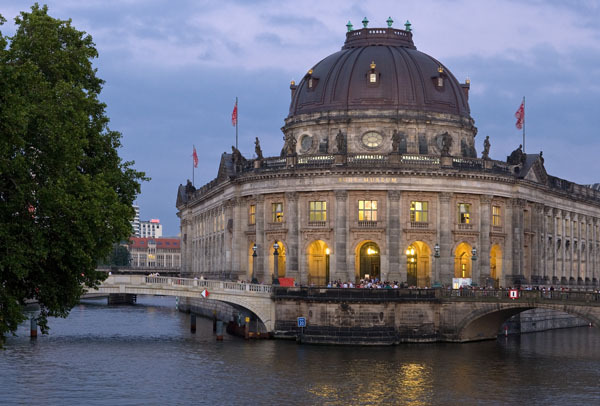 Explore the central district of Mitte where you can discover some of Berlin’s most important attractions such as Brandenburg Gate and the UNESCO World Heritage Site Museum Island which is comprised of five museums displaying over 6,000 years of art and cultural history. Walk along the East Side Gallery, the longest open air gallery in the world which was formerly the Berlin Wall and now a symbol of freedom and tolerance. 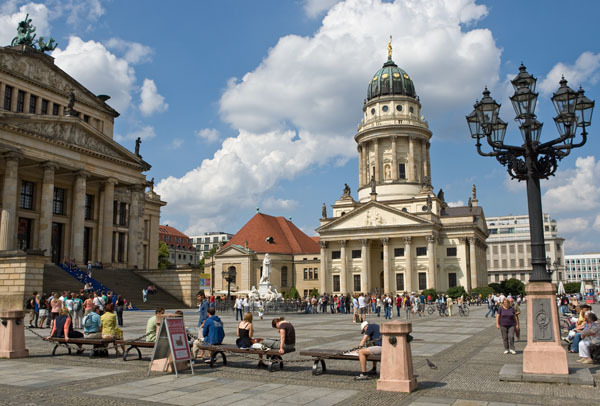 Mitte is also where you can find some of the city’s most elegant and chic shops, restaurants, bars and cafes nestled amongst small cobblestone streets and courtyards. Visit Berlin’s original fragrance shop Frau Tonis where you can select one of their bespoke fragrances or embark on a sensory journey to blend your own personal scent in their perfume workshop. With the diverse melting pot that comprises Berlin’s culinary scene, there are plenty of cuisines to explore from street foods like Currywurst and Doner to fine dining. One of the best ways to taste your way through Berlin is to embark on a gastro rallye with knowledgeable insiders such as Berlin Agenten. Founder Hendrik Tidefjard is a cool Swedish ex pat savant who knows the ins and outs of Berlin’s culinary and nightlife scene and will take you to the hottest spots of Berlin. Set in an old pharmacy overlooking Oranianplatz is Café Ora. A charming spot for breakfast, lunch, or coffee, Ora has preserved most of the antique furnishings and apothecary findings and serves healthy farm to table salads, soups, and bistro specialties. Be sure to order their delicious sourdough bread served with a variety of house made toppings. As Germany is famous for their brews BRLO, the Slavic name for Berlin, is known for their craft beers brewed in the heart of Berlin. Try the range of these small batch brews at their industrial yet trendy brewery and restaurant in Gleisdreieck constructed from 38 shipping containers. Their head chef Ben Pommer has created an innovative menu of vegetables – dehydrated, fermented, smoked or fried that demonstrates their diversity as a main course as well as a delicious array of smoked regional meats that pair perfectly with their extensive choice of brews. Swedish for ‘Floor’ Golvet is one of Berlin’s newest fine dining concepts which was recently awarded a Michelin star. 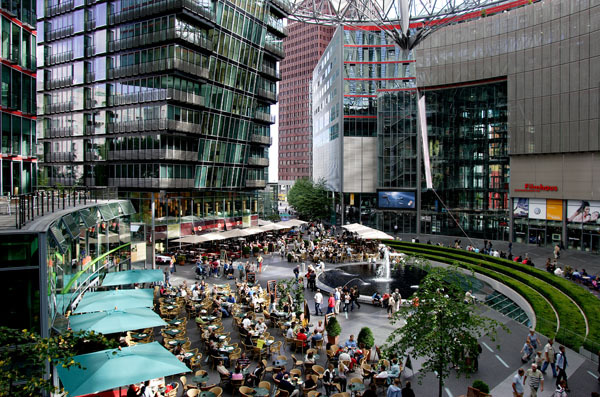 Set on the rooftop in the gallery district of Potsdamerstrabe, Golvet offers beautiful sweeping views over Potsdamer Platz and the city. The sleek dining room and bar is adorned with original artwork from different German contemporary artists that seamlessly blend art, culinary, and culture into one. With a strong commitment to ingredient driven cuisine, Glovet has created a contemporary menu based on local ingredients with Asian influences and is best experienced with their tasting menu ranging from three to six courses. The concept at Coda, an experimental dessert bar, is that dessert is more than just the last course but instead a tasting journey. With three different set courses beginning at 7:30, 9:45 or 10:30 pm, the dessert tasting menus range from three to six courses which are thoughtfully prepared as artistic masterpieces replete with different surprise elements and paired with bespoke cocktails. Savor some of Berlin’s best Turkish cuisine at Fes Turkish BBQ where you can grill your own delectable marinated meats directly at the table. Best enjoyed with a group of friends, there are plenty of copious mouthwatering vegetarian mezzes to be enjoyed by all in this communal affair. Overlooking the beautiful Orianianplatz is the centrally located Hotel Orania. This chic boutique hotel is set in a historic turn of the century building and celebrates the creative vibe of the Kreuzberg neighborhood. The 41 spacious rooms and suites feature oversized bay windows with beautiful views of the city and reflect a warm contemporary décor that blends African, Asian and European influences. The lobby evokes a gracious host’s living room with a warm fireplace, piano lounge, and open kitchen restaurant and bar that pay homage to the literary salons of the past which inspired creativity and the sharing of ideas. Getting to Berlin has never been easier or more comfortable with the recent launch of Lufthansa’s daily direct flights between JFK and Berlin aboard an Airbus A330. With three classes to choose from there is something for everyone. Their super luxurious business class features 42 fully flat seats that extend to 6.5 feet and feature 15” TV monitors and a range of gourmet delicacies to choose from. Relax in comfort in their Premium Economy cabin class which features 28 large recliners to ensure a spacious flight with added personal space.